All the Vitamin C overage we take is turned into Hydrogen Peroxide, you body’s first line of defense of your immune system. WoW! That’s WHY that stuff works. The rest of the story. This explains how suddenly Vitamin C megadoses magically have such curative effects. The body then naturally uses 4 antioxidant enzymes to turn the peroxide into water and singlet O oxygen, the greatest good free radical fighter and healer of all. The media naturally lies and tells us oxygen creates free radicals, to scare you away from it and buy their drugs instead, but don’t buy the “free radical theory” THEORY lie. Free radicals come from toxins getting into the body and interrupting (joining in-between and combining instead) and ripping apart normal chemical processes, leaving all the fragments “free radicals” for active oxygen to mop up. 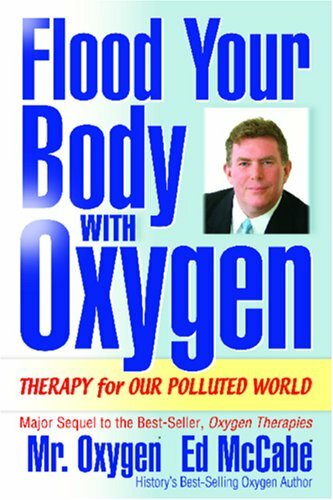 If you do not have enough active oxygen you naturally have problems, and no one these days has enough OXYGEN or PLANT MINERALS. The active oxygen does all the wonderful things in the long list that Vitamin C gets the credit for. Another thing they know about and ignore, is that Sulfur in the organic form mops up radiation. They could dump sulfur on the reactors and don’t. Kelp is full of marine sulfur. So is OxySulfur 99.9% at Oxygen America which sells all the best and highest quality of the active oxygen and plant mineral products. It has now been proven to protect nuclear-clean up workers at Fukushima. Scientists and doctors in Japan are working to get word out about vitamin C to the public which has been exposed to many, many times higher radiation than at Chernobyl. This entry was posted in Healing, Health and Nutrition, Uncategorized and tagged hydrogen peroxide, immune system, Vitamin C. Bookmark the permalink.